United received a huge boost recently when the news of Real Madrid closing in on a deal with Chelsea goalkeeper Thibaut Courtois caught the headlines. Real Madrid has been targeting United shot-stopper David de Gea for the past two seasons, but they have not been able to materialize a proper deal in order to bring the Spaniard to Santiago Bernabeu. As per recent reports, Los Blancos were getting ready for a final attempt to secure the services of the 27-year-old goalkeeper, who has consistently been in terrific form for the Red Devils. 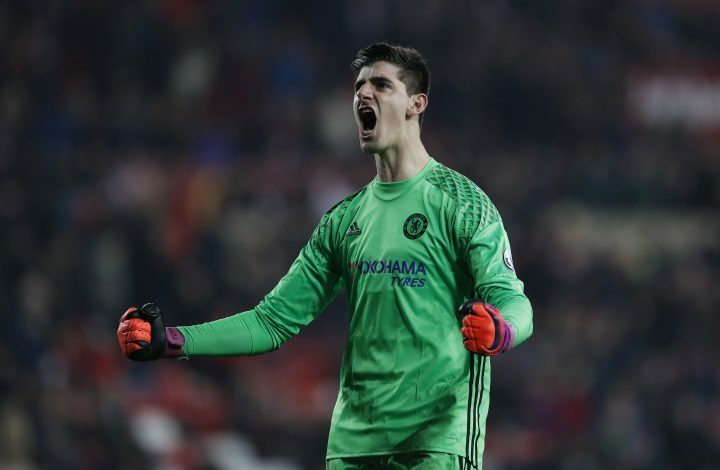 However, new reports from Mirror suggest that Chelsea’s failure to tie Courtois to a new deal has suddenly forced the Spanish heavyweights to turn their sights to the Stamford Bridge outfit. The 25-year-old’s contract with Chelsea will end in summer-2019, which means if he doesn’t sign a new contract with the Blues, he will surely be sold next summer. Along with Real Madrid, heavyweights like Serie A champions Juventus and French giants Paris Saint-Germain are also believed to be fancying their chances of signing the Belgian.